“The day side could possibly have rivers of lava and big pools of extremely hot magma, but we think the night side would have solidified lava flows like those found in Hawaii,” Michael Gillon of the University of Liège in Belgium said in a news release. Thanks to radiation and solar winds, 55 Cancri e may leave a trail of dust behind it — like a planetary Pigpen — as it races around its sun. 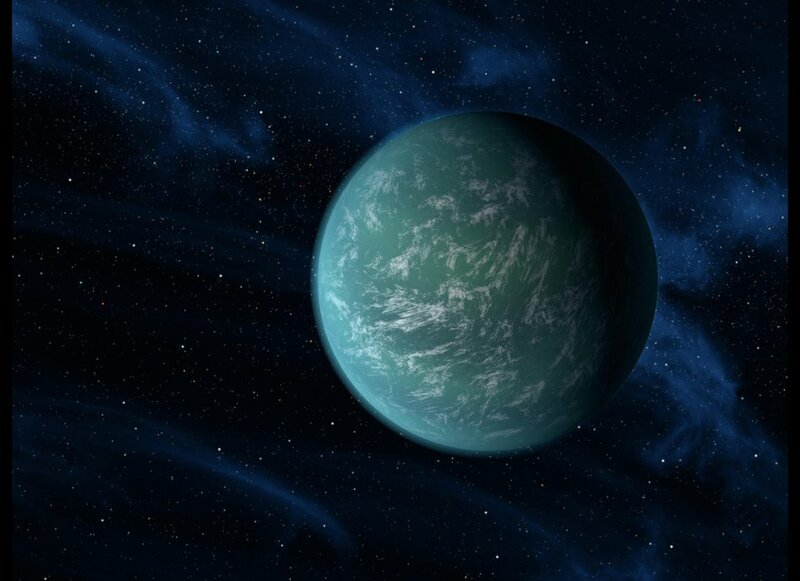 55 Cancri e is so hot that the atmosphere may have completely evaporated, the researchers said. They believe it’s possible the planet still has an atmosphere, but only on the night side. Because 55 Cancri e is so close, it has been extensively studied, yet researchers remain torn on the nature of the planet. At one point, it was believed to be a worldcovered in water. At another, researchers thought it might be made of diamond. Now, they are leaning toward a blazing world of lava.